Home / TTM Tuesday! / TTM Tues! Successes From The Stars Of Twin Peaks! Clue: The Movie! Roadhouse! Bull Durham! Psycho! Blade Runner! And More! TTM Tues! Successes From The Stars Of Twin Peaks! Clue: The Movie! Roadhouse! Bull Durham! Psycho! Blade Runner! And More! Let’s start with the original Sabrina The Teenage Witch, Melissa Joan Hart! c/o Hartbreak Films Fan Mail Dept. One of my favorites is also super sweet! Ms. Lesley Ann Warren! If you love Mr. Mercedes or Roadhouse you might want to give Kelly Lynch a try! 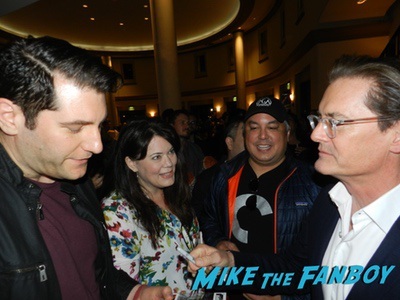 One of the nicest guys ever, Kyle MacLachlan! Next up is Sean Young from Blade Runner. Iconic actress Vera Miles from Psycho has been very great to fans. Oscar winner Susan Sarandon has been great with her fanmail as well. Dallas star Linda Gray has been great with her fanmail! Bond girl and Nip/Tuck star Jacqueline Bisset has been very good to fans lately. And finally, if you love the 80’s comedy Summer School. you should drop Mark Harmon a line. That’s all for this week folks! Don’t forget to grab some of those forever stamps. TTM Tues! Addresses And Successes From The Stars Of Carrie! The Dark Knight! Cars! Family Guy! The Dukes of Hazzard! And More! TTM Tues! 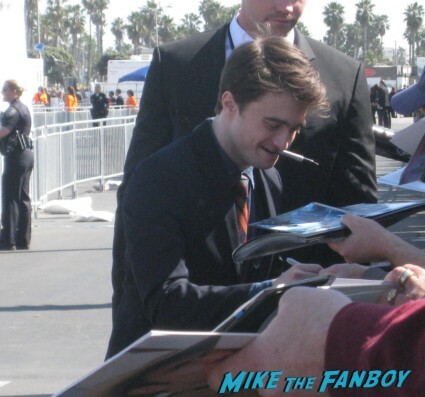 Daniel Radcliffe Signing Harry Potter On Broadway! Amanda Bynes Responding To Fanmail?!?! Emma Thompson And More! TTM Tues! Michelle Williams! Neil Patrick Harris Signing On Broadway! Mothers And Sons! New Via Venue Addresses And More!